Gregory Schillinger was one of the first coaches to take a chance on School of Coaching Mastery three years ago. So you can imagine that I was pretty darned pleased when Gregg called me up a few weeks ago and told me he's now making more money than he ever thought possible. This, while building a new coaching business in the middle of the Great Recession! It's really no surprise, though. Gregg is an enormously talented coach and successful businessman. But then, coaches who are attracted to the word, mastery, tend to be a cut above. Hence our name, School of Coaching Mastery. 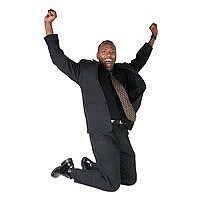 To paraphrase Gregg, it's the ones who 'get it' that you want to attract, because they get the most value. 'If I had a plan that said I want to make this amount, I wouldn't have. And much to my wife's surprise, and now I think she's come around to think that it's good to have a plan, but best to be able to adapt for reality, because you never know who you're going to meet on the street, or in a conversation, or through a contact and that's where the plan really starts to take place. You know, it's a fluid thing. I'm doing very well, I must say. Better than I ever have or thought I would. But in the end of the day, why not? Why shouldn't I do well and why shouldn't anybody do well? I think forcing the expectation would have done me no good. Unfortunately, the audio player isn't working on this page, but you can listen to this audio here. Are you also a coach or coach-to-be who's attracted to mastery and an 'early adopter'? You may be a perfect fit for our new Ultimate Coach Training Pilot Membership Program, which can save you a bundle. You can't read about it on our site, but you can attend a free class this week to learn about it. There are just seven spots open in this program. Sign up for an invitation to a free call with Julia Stewart on how to become a Pilot Program Member of the Ultimate Coach Training Program. Did the Perfect Moment to Become a Coach Just Arrive? It's often said that investing in your business and/or your education is one of the smartest ways to invest your money, because both will pay for themselves many times over. It's especially smart to invest when prices are low. That's good to remember in today's economy. It's also said that people who wait for the ideal moment, before they begin a lifelong dream, never get started, because their lives are never ideal. Well, what if the ideal moment were to arrive and you could invest in BOTH your education AND your business while prices were low? 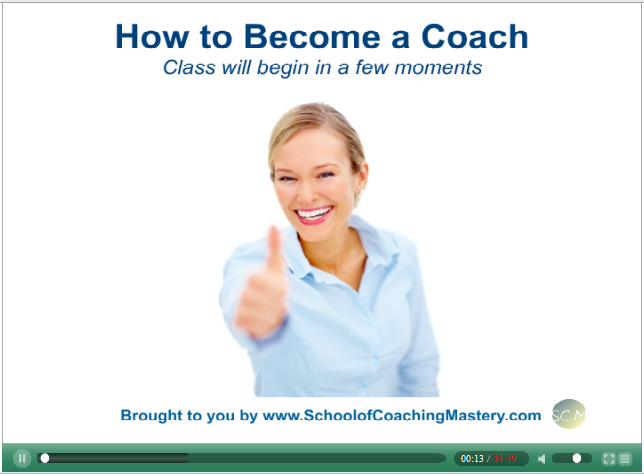 Would you be ready to dive into your lifelong dream of becoming a great coach? I'm asking because until School of Coaching Mastery reaches its current enrollment goals, you have an opportunity to join, for less than you'll ever have to pay again, the School of Coaching Mastery, the only school, worldwide, that trains coaches from the ground up for the Gold Standard in masterful coaching, the IAC Certified Coach designation. Not only that, but the already low introductory fees for the School of Coaching Mastery will rise substantially later this year. 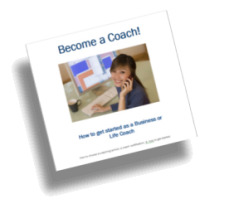 Do you believe in coaching enough to invest in yourself, your business and your education? Put another way, do you believe in you enought to invest in yourself, your business and your education? If so, go here to check out coach training programs. Or call 1-877-224-2780 for more information, to register by phone, or to set up a payment plan. Whether it's advanced coaching skills, improved business and marketing skills, or greater personal development you're after, embarking on excellent coach training is an exciting and fulfilling adventure. Is it time for you to get started now?